We met Madona in June of 2012. On this trip my wife Angelika accompanied me complementing my photography with video footage. We had heard about the issue of stray animals in Georgia and especially in Tbilisi and that about 100,000 dogs were killed in previous years. 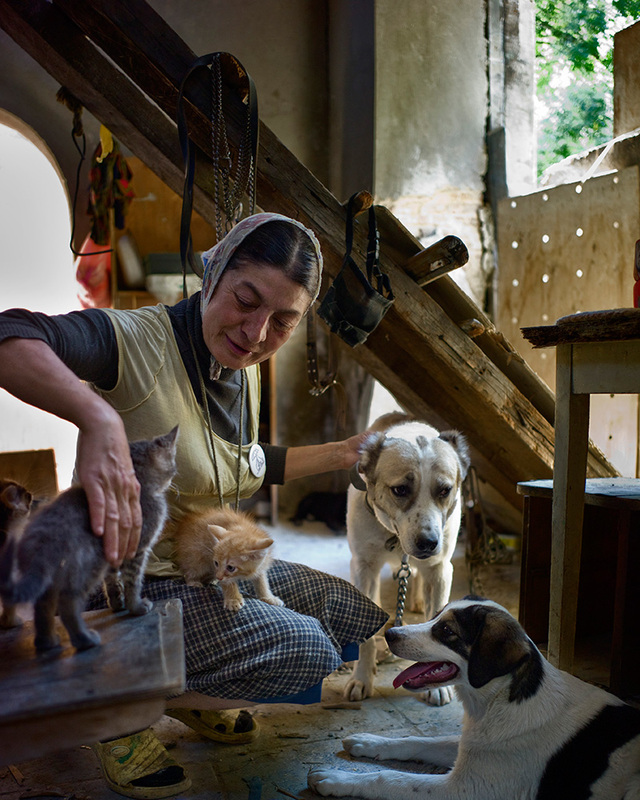 But we were also told there was this one particular woman who was looking after some of the stray dogs and cats and that she could usually be located somewhere around Sioni Church in Tbilisi’s old town. Which is where we found her the next day. And even though we had no common language we found a way to communicate. She invited us into her place, introduced us to her fosterlings, picked up the Georgian guitar that hung on the wall and started to play and sing for us. She even insisted on giving us a bag of fresh produce as we were about to leave – a gesture were happy to return as we came back to leave some food for her and her four legged companions. Her name is Madona Pepela, which she wrote on a piece of paper she gave us with her phone number. I still carry that note and the memory of that special moment with me.